It’s been just over a week since I made my post of why I gave my brother STEEM for Christmas and also explained why I think it could be very positive for STEEM to have a significant number of people introduce family and friends to the blockchain that way. I was very happy with the results of the post. I did not expect to reach 3000 views in just one week, nor to see such a large amount of comments from people saying they were inspired by the idea to do the same for their family or friends. While the recent surge in the price of STEEM may not have been entirely due to people rushing to buy their friends and family STEEM for Christmas, I really hope this means that many new people are getting introduced to STEEM not just during the holiday, as well as going into 2018 when those who have received this as a gift talks about it in their social circles. So over the course of the week since my post, I’ve spent some time looking at how to expand on the idea and build a platform where it is both convenient and fun for people to give someone STEEM. The idea of a gift card seemed obvious as a natural supplement, as it looks a lot more tangible than just getting a note saying “I’m going to give you virtual money!” I’ve also been very lucky to have come to know fellow steemian and Parisian @howo since joining steemit. We've had plenty of ideas for applications we would like to build on the STEEM Blockchain and so it was really cool to finally get to hack something together. As the developer, Martin has done all of the hard and time-consuming work to get the web applications up and running. So, we are both very happy to present you our 2017 edition STEEM gift card! The 2017 Christmas Steem Gift card design! 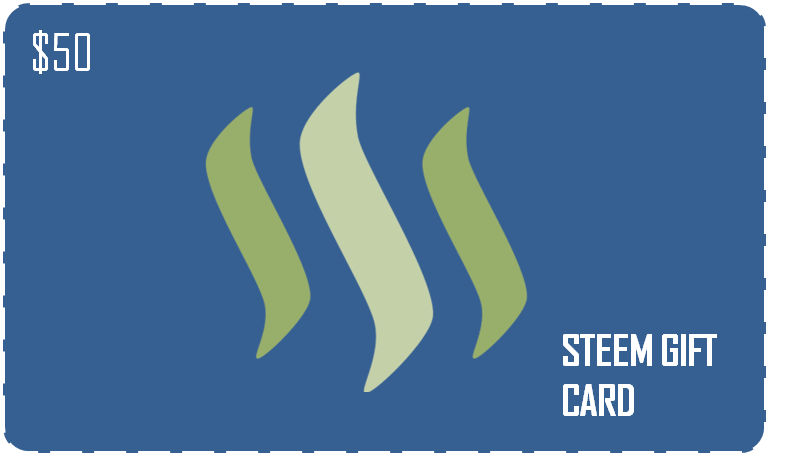 The card displays the steem account name that you have created using the account creation service that we made to allow for the creation of gift cards. It also displays the amount of STEEM given with the card, which comes as STEEM Power on the newly created account. Finally, the generated password to the account is displayed at the bottom. So in the course of a week, we've hacked together a web application and got a working product up and running on steemgifts.com. Please consider the website and the current service as our “minimum viable product”. We wanted to launch it in its current state to receive the feedback from you the community on what you like about it and what you think is terrible. 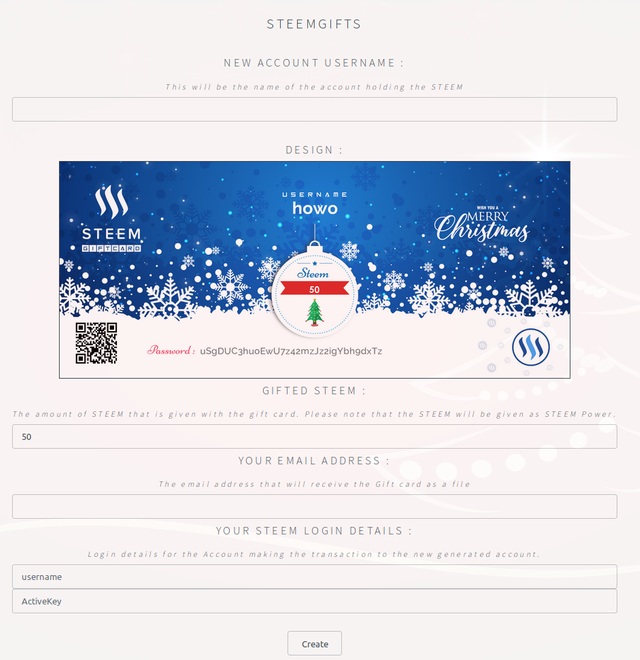 The web interface of steemgifts.com where you can make a Steem gift card for Christmas! To give the gift card a unique identity, we will create a new STEEM account to hold the amount of STEEM that you will give. This also offers you the ability to find them a good name now while the blockchain is still young! I recommend that you don’t spend too long over thinking what name the person would like to have once on STEEM. If they would like to be active on steemit and have another account name, they can always sign up themselves and then delegate the STEEM Power from the account that you have made for them and later transfer it over if they decide to do so. To make a gift card, you will need to hold the amount of STEEM that you would want to give liquid in your wallet (not Powered up or in Savings). Upon creating the Account, this amount will be given as STEEM Power to the account. Be aware that this will lock the STEEM to that account! The minimum amount of STEEM that can be given is 6, as this is required for the account to have the necessary bandwidth to do anything on the blockchain. We made the decision to make the gift be 100% STEEM Power for the added simplicity of not needing to delegate any STEEM to the created account. In order to transfer STEEM from your account, an Active key is required. I am hesitant to ask anyone for their Active key while it is still an early version of the service. I would therefore like to offer you the option of contacting me either in the comments or on steemit.chat if you would like to have the card with the design for the account you want to create, and the amount of steem you would like to give, and for you to then complete the remaining steps yourself. Once these steps are done, the account will be created, the STEEM transferred from your account and you will receive an email with the password for the new account displayed together with the amount of STEEM that you are giving. Make sure that the gift card is saved securely and kept with the same level of security as you would apply to your own master key. I would recommend the person receiving the gift to change their password later to replace any versions that have been sent online. One of my ideas for the website is to allow all the great artists and designers that we have on STEEM to make their own designs. We will make the code for the current gift card open source and would invite others to make their own versions. My hope is that we can build a library with cards relevant for birthdays, different holidays, or other occasions where giving someone STEEM might be relevant or fun. We will be happy to give votes to submitted designs and hope that it can allow the artists and designers to profit off creating something that in turn can benefit the value of STEEM. If this sounds interesting for any of you, do feel free to contact me directly. Feel free to ask for a free gift card! As we are just a few days off Christmas, I would be happy to let anyone who would like a card to supplement your gifts. So if you go to the website and complete the form without entering any information in the fields asking for you account name and active key, we’ll make sure to send you a card. You can then set up an account on your own, or transfer the desired amount of STEEM to the account of the person you will give the gift to, on your own. The awesome design was made by @nitesh9. I think he did an amazing job in the very short time-span that he had and would like to give some attention to his skills. As STEEM witness @timcliff has been saying recently: We need to make use of all the unique skill-sets that exist on the platform to collectively grow the value of STEEM, and having skilled designers like him who are quick to respond to quests is really valuable to the platform. 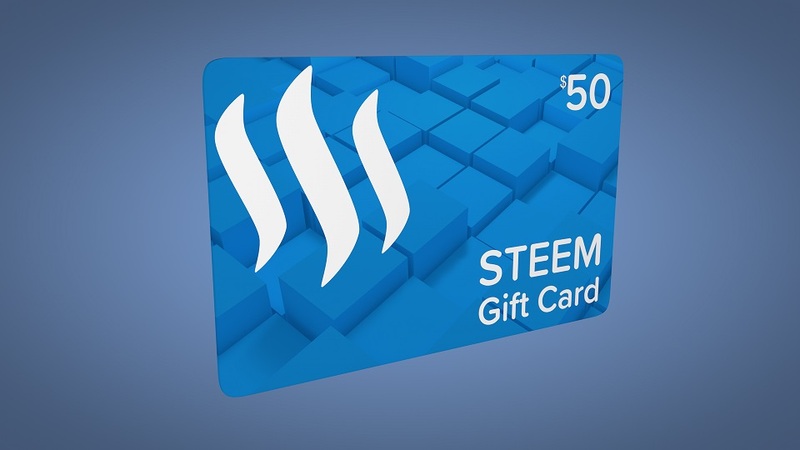 Anyways, I hope that anyone who has already purchased someone STEEM for the holidays and would like to print a gift card to give on Christmas eve or day will get in touch with me either in the comments or message me on steemit.chat. As I've stated over and over, I really think it takes all of us to do all the small things that we can to promote STEEM to get the organic growth and network effect going that a social platform so desperately needs. I look forward to hearing any questions some of you might have about the gift card service, any suggestions for how it could work better, more securely or add more value, are of course also welcome. Again Meery Christmas to you all! SSL has now been added to https://steemgifts.com/ to improve safety. NOTICE: The steemgifts.com website is not using SSL! Use with EXTREME caution. You know what to do guys, setup a SSL certificate! It's a must for any website nowadays. Updates have now been made to address this. I invite and encourage everyone to express concerns or inconveniences they see with the current version. It is meant to be a first prototype to generate feedback. Edit: thanks for the feedback. As mentioned in the post (but which I could perhaps have highlighted even more) this is meant to be a proof of concept. I am more than happy to provide the card only with the requested account name and amount of steem, with no password written on it, for someone who would like one to give the card and then do the account set up and transfers themselves. Any other comments on the general idea are also welcome. Yes I saw the source code :) But it would be wise to offer the users a secure website. People will click blindly on anything without checking if their connection secured or not. It's very easy to setup a free SSL certificate, try https://letsencrypt.org/. @drakos! Hero of the 'hour'!!!! You've earned a tip! for this important looking out! Hi @drakos! You have received 0.1 SBD tip from @spiritualmatters! Let's Encrypt is free and easy to set up and renew. Takes me 1 line of copy-paste code to sort out. Thanks Drakos for looking out. I am really happy to be a part of this awesome project. It will really give a boost to steem and steemit. Excellent idea, well presented and excellent timing for someone who has an inability to get their shopping done as well. "My hope is that we can build a library with cards relevant for birthdays, different holidays, or other occasions where giving someone STEEM might be relevant or fun." Yes, please! ^^ Also, this is epic! I think this could be amazing for STEEM. It would be a way to channel all the amazing creative talent that we have to build bits and pieces to strengthen the blockchain. Congratulations @fredrikaa, this post is the fifth most rewarded post (based on pending payouts) in the last 12 hours written by a Hero account holder (accounts that hold between 10 and 100 Mega Vests). The total number of posts by Hero account holders during this period was 395 and the total pending payments to posts in this category was $9343.49. To see the full list of highest paid posts across all accounts categories, click here. Amazing idea! This would bring SO many new users! Very cool idea! Hope this is a fully functional physical product by next year! The gift that keeps on growing. really great initiative guys and if you wanna go a step further you can use analytics to check how many cards you actually made and later on how many of those account created are active an long term how many people you helped entering steemit! Interesting indeed, I was actually planning to make a similar post today! I even rendered few concepts few days ago. That's very cool ! I'll post in the following days to explain how designers can post new designs for the website. How smart! Let's get in contact, I'm interested in doing some graphic design for this project. Yes, we considered this, but my thought is that you give it as a long-term gift, like you would give someone a number of stocks. Making it STEEM Power also made it a whole lot simpler to create the account without the added need for delegations. That's a great innitiative! I wouldn't think about Steem giftcard but it could become a thing. Resteemed. Thanks a lot for the resteem! Yes, I think this can be very positive for STEEM. If you don't want to enter his password on the card then you can leave that space empty and add it yourself. Wow it will definitely be the most welcome gift of all... original and profitable! I think this be great way to get new people into steem! What a great idea! Someone Please Send Me A Gift Card ;p ! The most cost effective, exchange friendly of the cryptos is going to preserve the long term value. This is a revolutionary thought, very very well conceived. This increased liquidity to strangers to join the market is otherworldly in strength creating instant value to the holder, as well as a mandated explanation of steem, steemit, etc. There is a clear paradigm within introductory sales of lesser increments due to the lack of familiarity. It would be my hope that someone who didn't know what they have would simply put it up on ebay. Nice, dude. That's exactly what I've waited for. The best "Last minute christmas gift" ever! Awesome way to spread the Steemit Success !! This is a good way. He would be happy if someone steem someone as a gift. Nice post! Introducing a STEEM holidays and Christmas cards is an inovative way to reach out to steem world in a big way. I follow and upvote you. Pls. Do same for me. Man thats fantastic! I loved the idea and was stuck on how the present it so this takes care of all of that! This is pretty cool. Definitely makes me reluctant to know that your "gifter" has an account password of yours. I run SteemCreate and never let the password hit my servers because I dont want to have to manage or be responsible for that. Awesome! Resteemed and 100% upvoted! Looking forward to this being in full steeeeem for use! Good thinking... Good product! Merry Christmas to you. Would you like to add your service to my store for a bit of extra exposure? OMG! This is brilliant. Now I have a simple way to buy STEEM for friends and family, and hopefully pique their interest in the project and get them involved over the holidays. And it really is the gift that keeps on giving and giving! This is a great idea. I am done shopping for the season, but I will keep this in mind for next year. And now I am thinking I know what to gift the graduates in my family. Merry Christmas mate! Keep spreading that STEEM word. This is really cool, @fredrikaa, @howo and @nitesh9! Great job. I'm almost tempted to give away some Steem accounts to my friends and family for the Christmas now. Wow great idea man! I like the design! yey, gift STEEM for Xmas, i think it's a good way to make people discover steemit. Very cool way to promote steemit. Thanks for the post. One day I will have to get him steemit gift but for now I'm just a minnow with no much power within me. Can giftcards be made for existing account holders? Hello, great work, i liked your post and reward it with upvote. Awesome! Will submit some #dank designs!